SOLIDWORKS Routing allows you to completely automate the process of routing pipework, tubing or even cabling. This add-in enables you to save many hours of modelling against traditional methods. In this blog, we’ll share our top Tips and Tricks for SOLIDWORKS Routing. 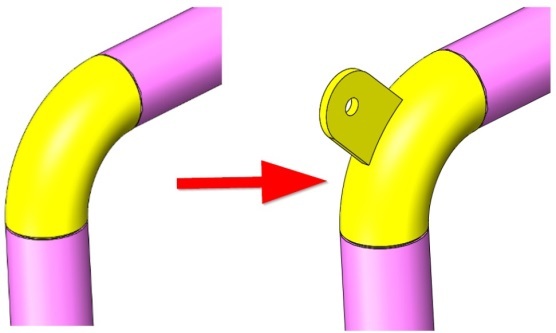 The pipes and tubes within SOLIDWORKS Routing are controlled by sketches which can be dimensioned using normal techniques. Within routing, you are able to route along existing geometry. The example below demonstrates routing along a structural member from a Structural frame. This is a useful technique for keeping design intent. SOLIDWORKS Routing has the ability to create routing components from scratch however, depending on what component you are creating, this can be very time consuming. One time-saving tip that we recommend is to open an existing component that is similar to your new design, then make the modifications on there. Then, save it out to a new directory. Like with Parts and Drawings, setting up templates will speed up your workflow; the same applies for Routing. 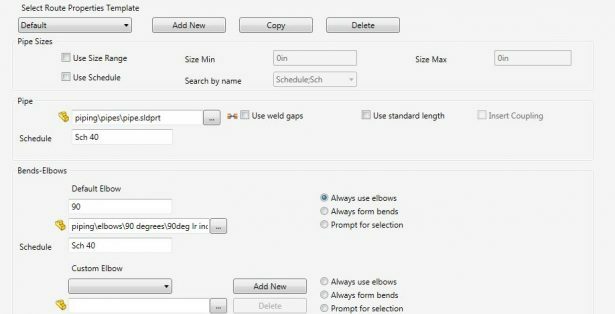 Routing templates allow you to create templates that can group schedules together. For example, you can have a template set up for Sch40 which will only allow Sch40 components to be used in that route. In Routing, you’ll often use components that have different sizes. We therefore believe that ‘configurations’ is the most powerful way to control Part management. This is because it provides a fast and effective way to create multiple configurations. Always keep your routing library updated! Once you have created any new components, and you are ready to use them effectively within routing, you will need to add them into the routing Database. This Database can be found within the Routing library manager, as illustrated below. Use standard cut lengths of pipes! Within your routing templates, you can specify the maximum lengths of pipes you can buy or use in your industry. 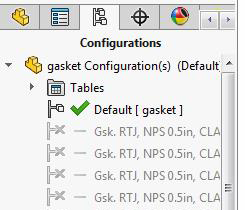 This is a handy tip as the information will be fed into your model with the cut lengths shown on the assembly, and it will also appear in your bill of materials too.